random thoughts...do or "di": I'm All Caught Up! No, not with all my projects! That list will never end. Over the weekend I received the last of the postcards I was expecting in the Postcard Swap I belong to through Yahoo groups. 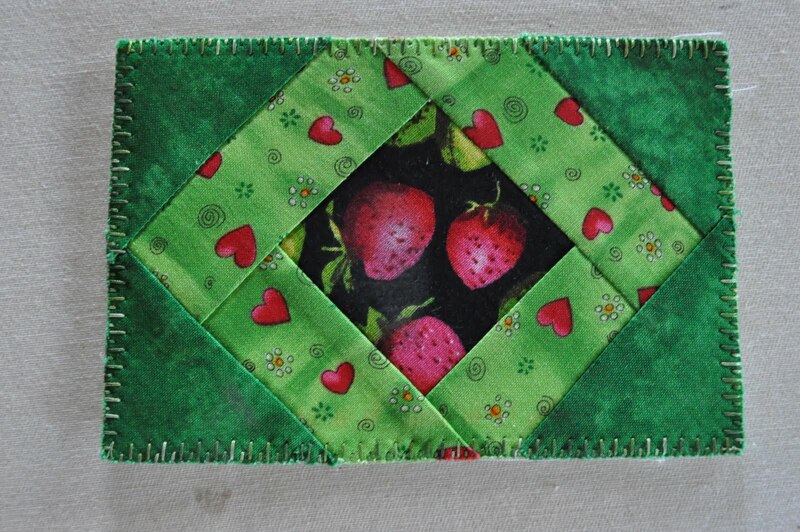 The theme for July was Berry Picking. I have an over-committed August, so I didn't sign up for the August swaps, but will probably join back in September. I've decided to make a list each Monday of what I hope to get accomplished in my sewing dining room. 6. Start thinking about and planning my block for 2012 Partnership Quilts at Tokyo Quilt Festival.